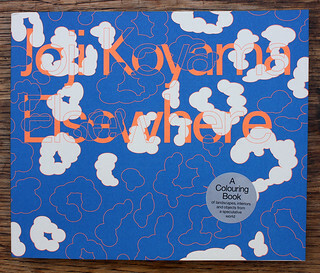 Joji Koyama’s Elsewhere colouring book (Particular Books, £12.99) is the latest addition to the unfeasibly wide selection of colouring books for grown-ups. Koyama is a Japanese film-maker, animator and artist whose line-drawings depict unusual fantasy landscapes fit for bright colour that reads loosely as a kind of wordless book with minimal written interjections such as ‘meanwhile …’, ‘a murmuring’ and ‘but when the music starts’. The book’s release follows Koyama’s book of short stories Plassein published by his new imprint Toupée. Spread from colouring book Elsewhere by Joji Koyama. Top: Interactive installation Auto Play, on display as part of Graphic Design Festival Breda, designed by Trapped in Suburbia. Joji Koyama, Elsewhere. Cover design: Dan Solbach. In November 2014, Off Life comics launched Yellow, a 52-week online project to publish weekly illustrations by different artists (See ‘Noted #67’ on the Eye blog). The brief asks each week’s invited contributor to depict a news issue in a way that goes beyond ‘traditional journalism’. The artists and illustrators involved have presented visual stories ranging from Takayo Akiyama’s time-travelling Turner (week 3) to Eva Bee’s bold and evocative illustration of desperate, sea-crossing refugees (week 40). At the beginning of October, Off Life editor Daniel Humphry and art director Steve Leard started a Kickstarter campaign to publish the work as a casebound book: Yellow: 52 Artists, 52 Weeks, One Illustrated Year. In just over a week they have already exceeded their goal (deadline 31 October 2015) by nearly double the amount set. 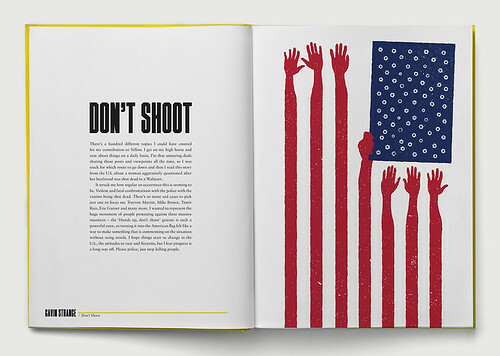 Gavin Strange’s illustration following civilian shootings in the US (week 5). 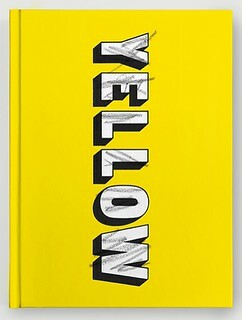 Cover of Yellow, edited by Daniel Humphry. Design: Steve Leard. The book includes work by artists and illustrators Jean Jullien, Supermundane, Malika Favre and Pete Fowler, among others. 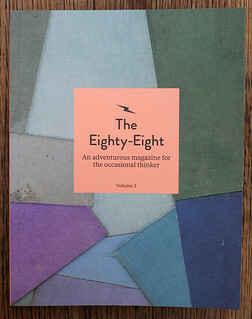 Volume 2 of The Eighty-Eight styles itself ‘An adventurous magazine for the occasional thinker,’ and continues the light touch of the first issue, published in 2013. ‘Curator’ Jamie Cullum interviews fellow pianist Ben Folds, who admonishes him: ‘Young man, make sure you take care of your left basal joint,’ but the musical content is otherwise quite restrained. There are features about Flamenco Dancing, prefab housing and record-breaking cyclist Eileen Sheridan. The entire production is swimming in contemporary illustration – memorable contributors include Lie Dirkx (a pull-out entitled ‘Donuts’), Nele Anders and Matthew the Horse, who also contributes short poems. The dimensions are a pleasingly compact 230 x 180mm, and the confident art direction and editing is by Kate Monument and Anna-Marie Crowhurst. The price is £10, but there’s also a £35 ‘Box Set’ version – presumably for avid Cullum fans and completist collectors – which includes a bookmark, postcards, coffee beans and, regrettably, a scented candle. 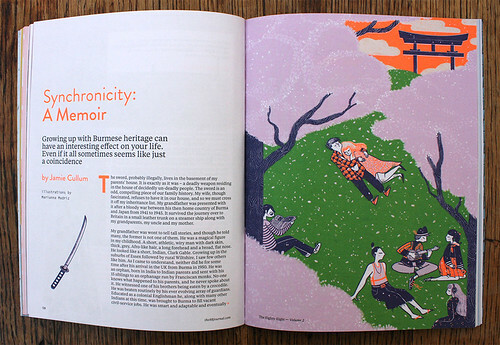 Spread from The Eighty-Eight volume 2. The journal’s name refers to the number of keys on a piano keyboard. The Eighty-Eight volume 2. Cover art by Lauri Hopkins. Art director: Kate Monument. Auto Play is a new project by design studio Trapped in Suburbia, currently on display as part of the Graphic Design Festival Breda, The Netherlands, until 25 October. 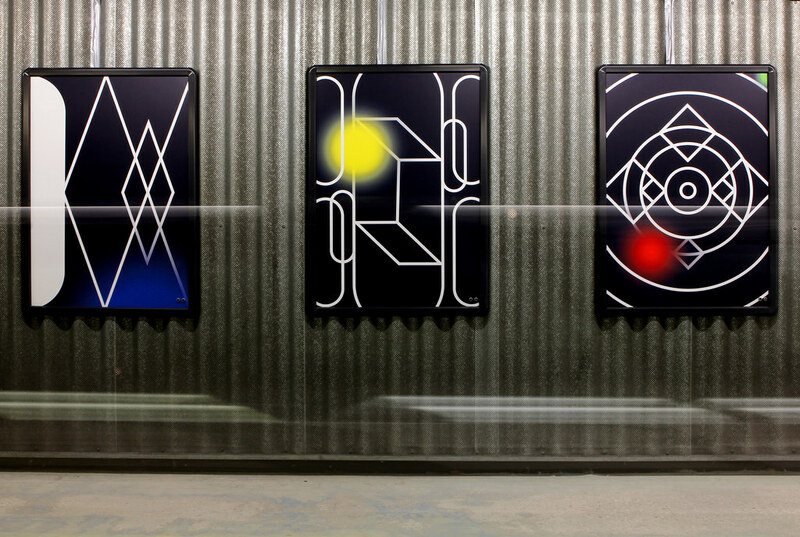 The interactive installation at 3sec.gallery, a drive-by exhibition space in a carpark, was created in collaboration with drummer Koen Herfst, and responds to the movements of passersby. Auto Play by Trapped in Suburbia. Fabriano has released a new range of typography-themed notebooks that include illustrations by Steven Guarnaccia. The range were conceived of by Italian graphic designer Silvana Amato; the three smallest are dedicated to Helvetica, Times and Garamond and the three largest, to ‘Serif or Sans Serif’, ‘Plain and Italic’ and ‘Body Type’. 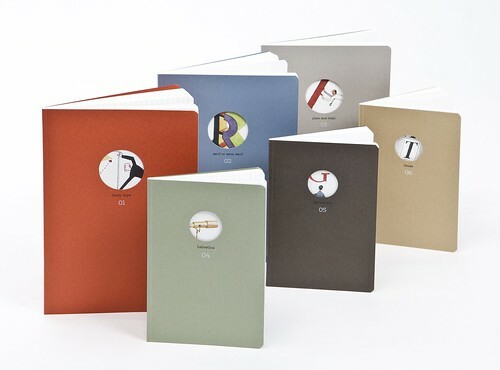 Fabriano’s new typography-themed notebooks which include illustrations by Steven Guarnaccia.